Since this is a day of celebrating what we are thankful for, I figured it would be very appropriate to share my DIY barn-door headboard. Why you ask? Because, my dad, boyfriend and I built it together and I am so grateful for them and the entire experience! Having a dad that knows how to build and create things with little to no direction is the best. What's even better is being able to share that with him and learn along the way. Many Saturday mornings later, a few too many cups of coffee and lots of staining and sanding... the headboard was complete! Now we have it in our bedroom and it is one of my favorite things to decorate during the holidays. After spending way to much time in the pillow section of Target, I came home with the perfect holiday bedding. Jason took one look at my cart and ran for the hills, because he thinks throw pillows are pointless. But, boy he was wrong! I am in LOVE with the finished look, and the pillows pull everything together. We picked up a fresh wreath to complete the look and BAM! Instant Christmas! Plus, thanks to the wreath, our entire room smells like a christmas tree. May your day be filled with family, friends, and holiday cheer. Now enough with this post, it's time to eat! 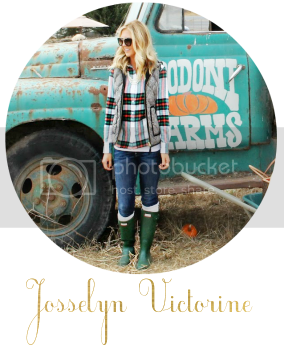 Thanksgiving is right around the corner and finding the perfect casual outfit can be tough. don't worry though, you have come to the right place for ideas! Here is the perfect look for a family gathering at home. This swing dress is so comfy and loose, which is perfect for eating just a little too much that day. Room for forgiveness my friends! 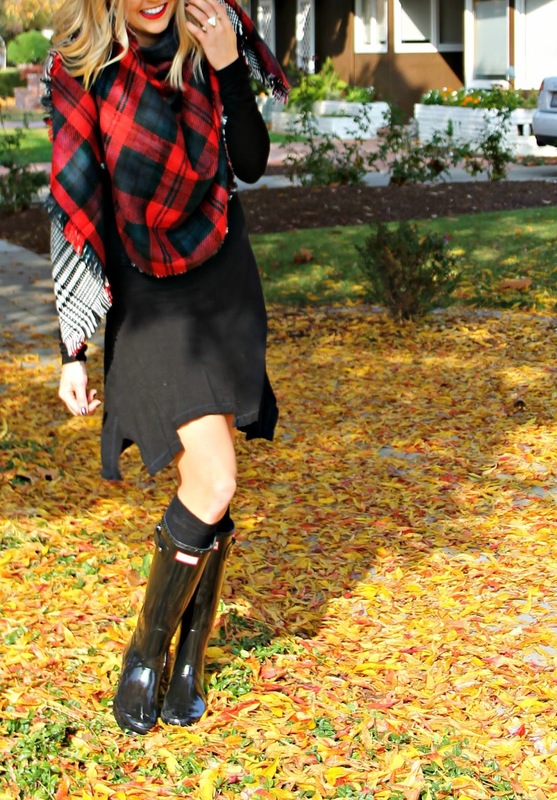 The blanket scarf is the perfect accessory to bring any outfit to life, AND it's reversible! But let's not forget what the day is really made for- a reminder of what to be thankful for and a chance to spend time with family and friends. 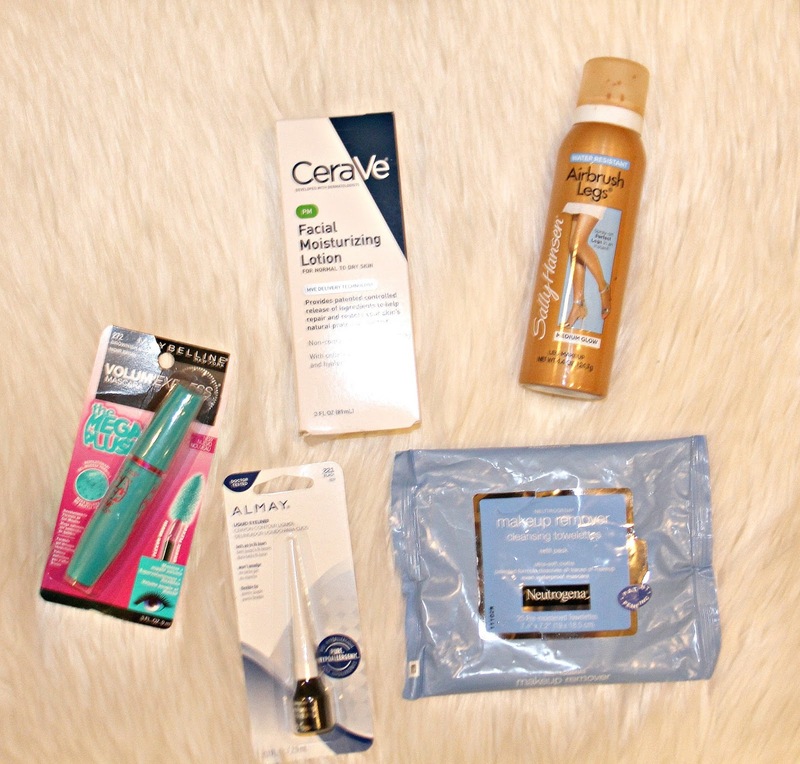 I wanted to share my top 5 drugstore beauty picks today. Let's face it, it gets way too expensive to buy designer beauty products ALL the time, and sometimes you really don't have to! Today, I am sharing the five beauty products I can't live without, and they can all be bought at your local drugstore! 1. CeraVe PM Facial Moisturizing Lotion: This stuff is my go-to face lotion. I apply it day and night and it is the perfect consistency. It leaves my skin moisturized, without feeling heavy or weighed down. I can't go anywhere without it! 2. Neutrogena Makeup Remover Cleansing Towelettes: I have tried so many different brands of makeup remover, and these are by far my favorite. They are so easy to carry with you traveling and they get every last bit of makeup off your face. 3. Almay Liquid Eyeliner: This stuff is the BEST. Period. 4. Maybelline Volume Express "The Mega Plush" Mascara: This is a new addition that I have added to my makeup routine. The reason I love it so much is that it works really well when curling your eyelashes. Sometimes, I have tried mascara that won't curl, it's too wet. This mascara is a miracle worker. It adds max volume and thickness. 5. Sally Hanson Airbrushed Legs: Last but not least, concealer for your body! Yes, it does exist and is nothing less than amazing. I use this product on my legs, arms and chest before events to complete a flawless look. 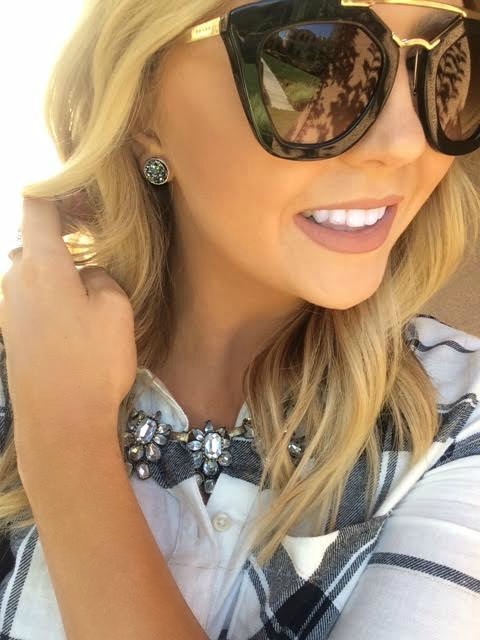 I hope you all enjoy my top 5 affordable beauty picks! I am heading off to a wedding today and will be using all of these items today. Can't wait to share pictures of the finished look! Be your own GLAM squad ladies. 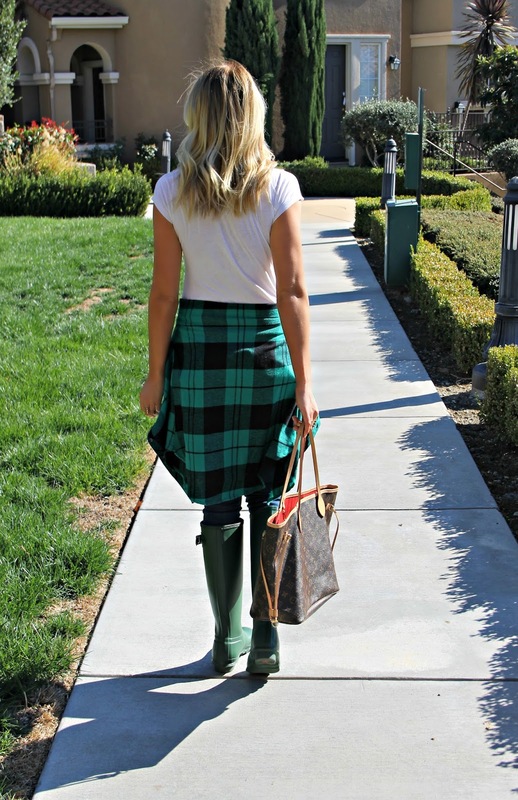 I want to shout from the rooftops that I found Hunter rain boots for $79.99 at Costco. Seriously, this is half the price of what they normally are sold for AND Nordies will match the price too! Make sure to order a size down, they run big. 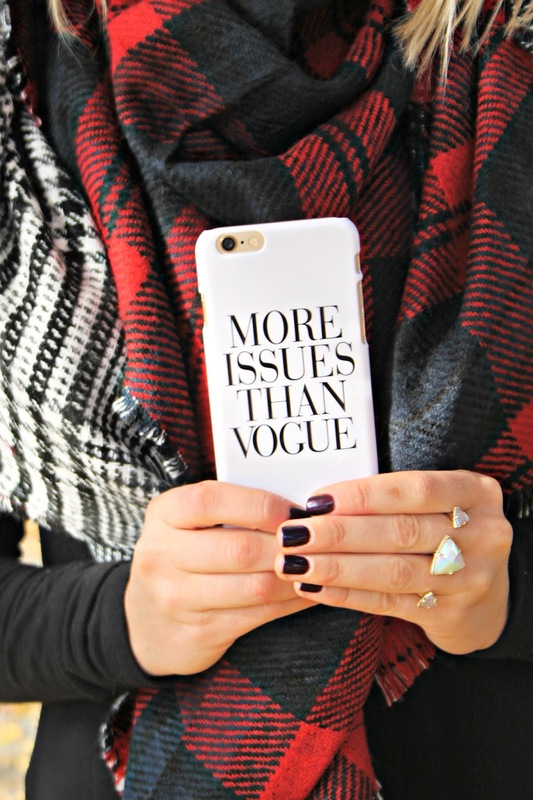 Obsessing over gold accessories for the holidays? You have come to the right place! The gold stackable rings above are only $12 for a set of 8! Such a steal. Now I have to include a splurge as well... The gold "Aria" Stella & Dot necklace is just under $100, but it is worth the price. You can disconnect the pieces and wear them individually or together. 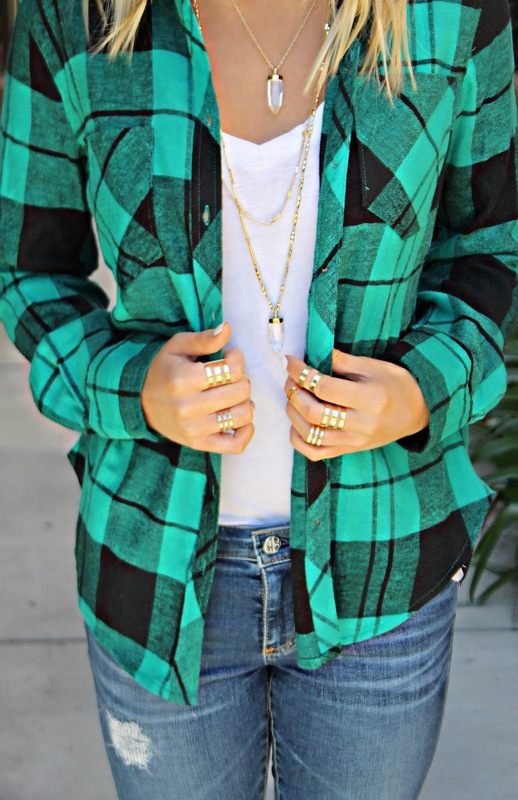 Last but not least, flannels, flannels, flannels. Target has stocked up on the best selection of flannels for this holiday season and their price point is hard to beat ($22.00). We are half way through the week and I can't think of a better way to celebrate than with a hot turkey pesto panini! I'm so excited to share this simple sandwich recipe with all of you. The best part about it is that you don't need a panini press! Just a waffle maker, which I know everyone has one of those lying around at home. Using a waffle maker is both convenient AND makes the sandwich extra fun. I hope you all enjoy this recipe as much as Jason and I do! 1. Plug in waffle iron and get it hot while you are prepping the food. 2. Grab two slices of sourdough and evenly spread butter on one side and pesto on the other. 3. Place the butter side of the bread directly on the waffle iron. 4. Layer the sandwich with cheese, turkey, and onions. 5. Add the top of the bread with the butter side up. 6. Press and hold the waffle iron down for about 2 minutes until your sandwich is golden brown and the cheese is nice and melted. 7. Serve with pickle, chips, and a side of pesto mayo! I made the mistake of going to Target on Friday evening and their winter/Christmas inventory was TOO GOOD. I have such a love hate relationship with that darn store! I told myself I was only going to "browse", but as soon as I hit the flannel section it was game over. I ended up going into the fitting room with six different plaid/flannel tops.... My self control kicked in and I only bought two, but it was a hard decision as to which ones to get. The good thing is, they are only $22, which is half the price of most flannels I have found this year (I'm giving you excuses as to why it's okay to purchase these even if you already have 10 plaid shirts in your closet). So moral of the story, go to Target and stock up before they run out! Have a great week. Be kind. Be confident and kick a$$! So for those of you that don't know, I'm a shameless chocolate chip cookie addict. It is very comforting to bake them and I don't want to brag BUT I'm kind of really good at it. (insert winky emoji here). I think it's because I have literally made them about 3,453 times that I have perfected the recipe. So what's my secret you ask? It's your lucky day because I'm feeling nice enough to share! The "secret" lies in the process rather than the recipe itself. Having said that, if you are going to attempt to recreate these at home, make sure to follow my directions to a T!!! So when I say room temperature butter and eggs, don't skip this step! The moment you all have been waiting for is here... drum roll please. 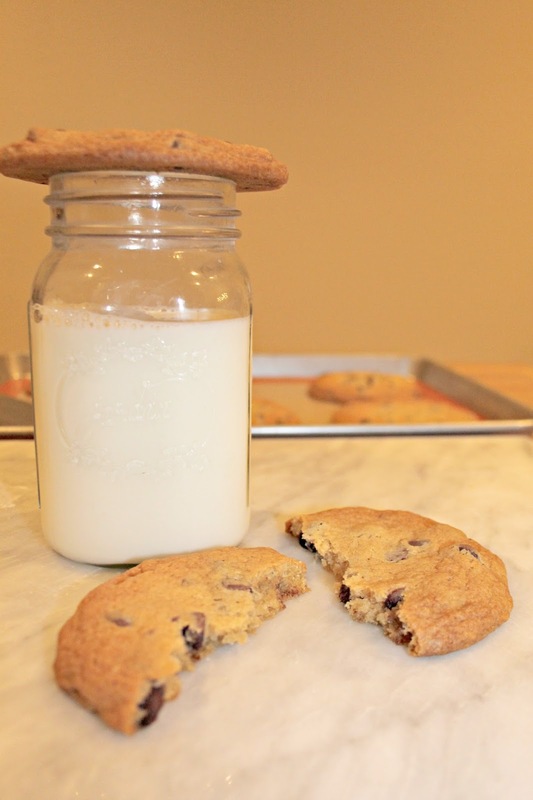 Introducing the recipe for the best chocolate chip cookies you've EVER had. 2. 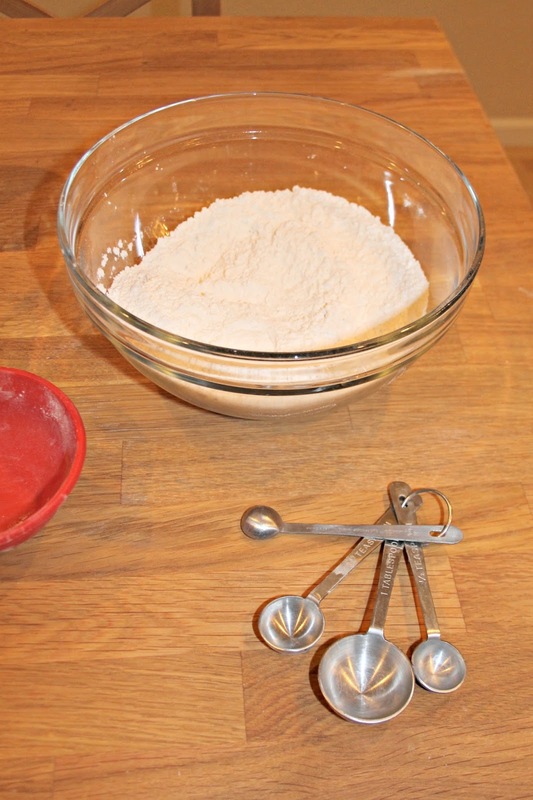 Combine the dry ingredients (flour, baking soda, and salt) into a bowl and then set aside. 3. 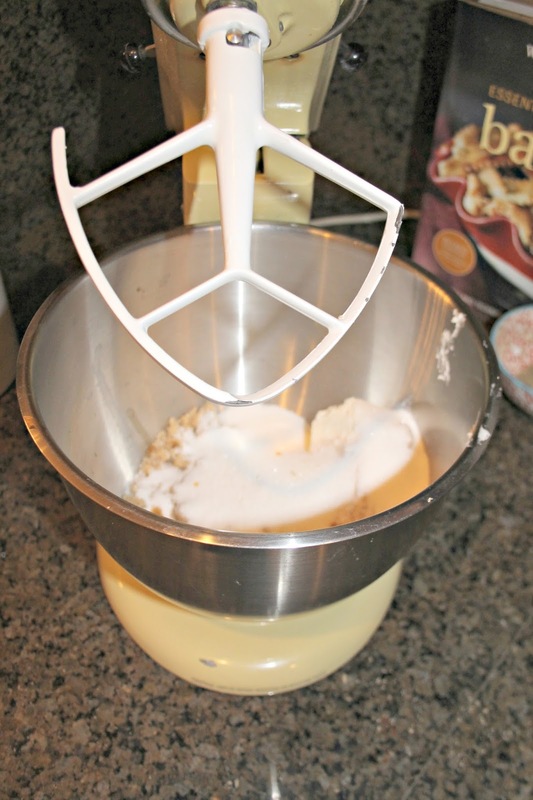 In a Kitchen Aid mixer, combine butter sugar, brown sugar and vanilla until smooth (1 minute exactly on medium speed). **Make sure butter is room temp, meaning extremely soft. Do not make it soft by putting it in the microwave. 4. Add room temperature eggs one at a time to the mix. Beating very well in between each egg. The longer you mix this mixture, the lighter in color the mix will be. 5. Once you have incorporated all of your wet ingredients it is time to add the dry mixture you set aside earlier. Add the mix in a little at a time with a large spoon. 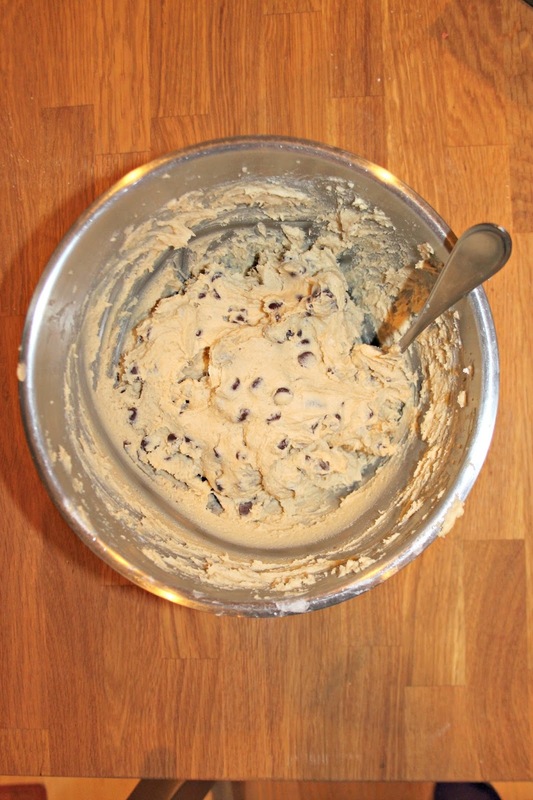 **Important- don't over mix at this point or else your cookies will be tough. 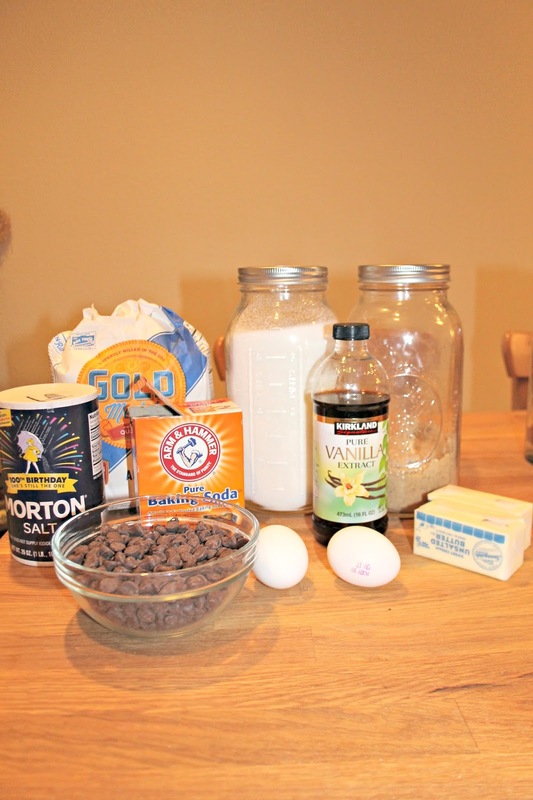 mix just enough to fully incorporate the dry ingredients. 6. 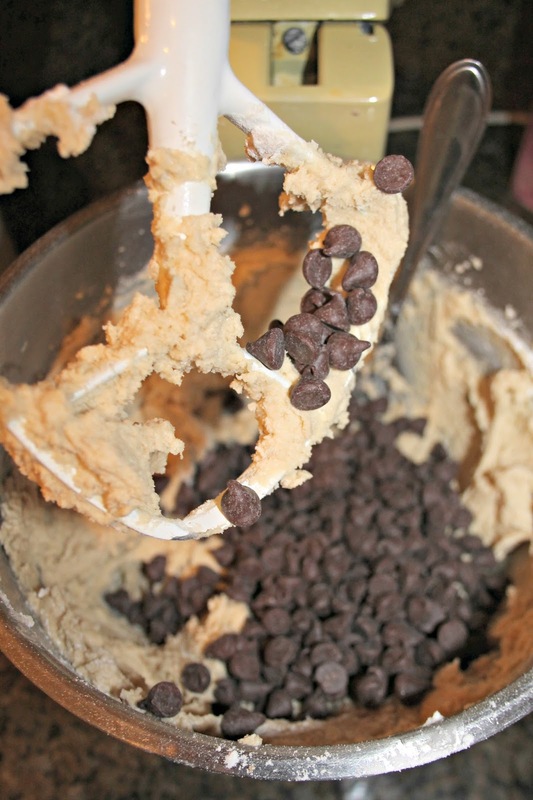 Add in the chocolate chips and mix by hand. 7. 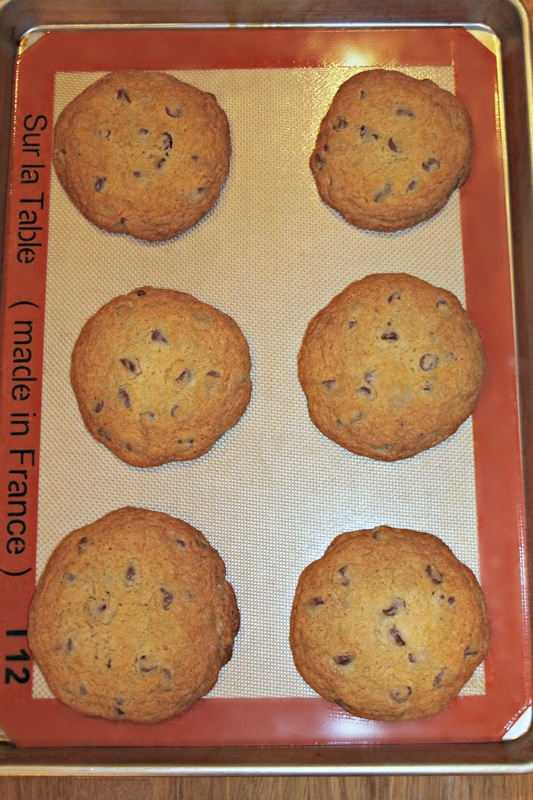 Line a light silver baking sheet with a baking mat (highly recommend the one's I linked above). 8. 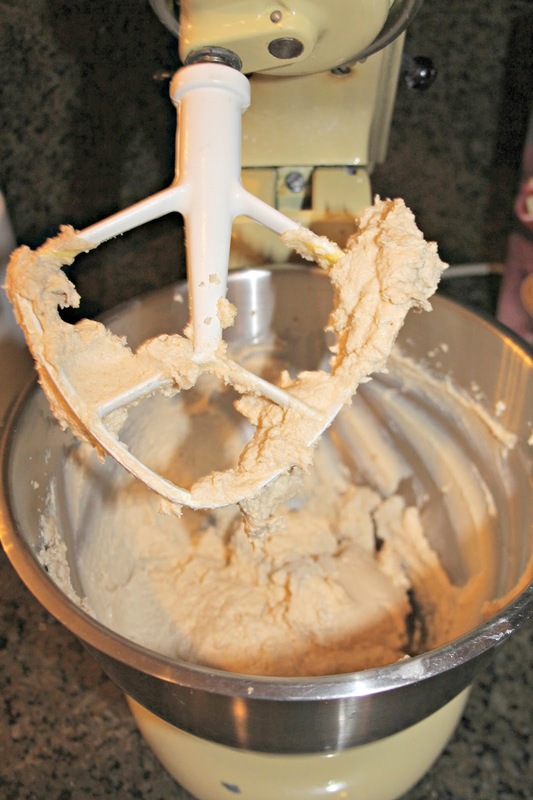 Use an ice cream scoop to create the perfect amount of dough. I do 6 at a time on the cookie sheet. 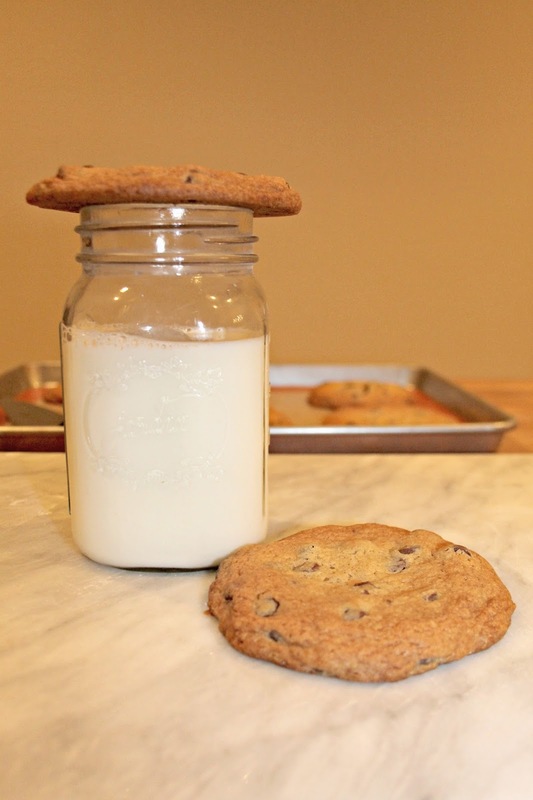 (important to use an ice cream scoop instead of the traditional cookie scoop to achieve the perfect size). 9. 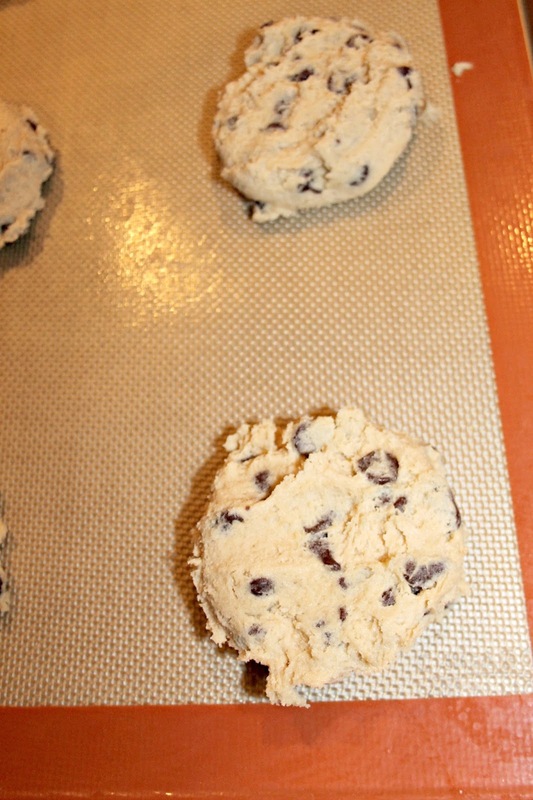 Using your hand, smash the dough so that it is flat, instead of in balls. 10. 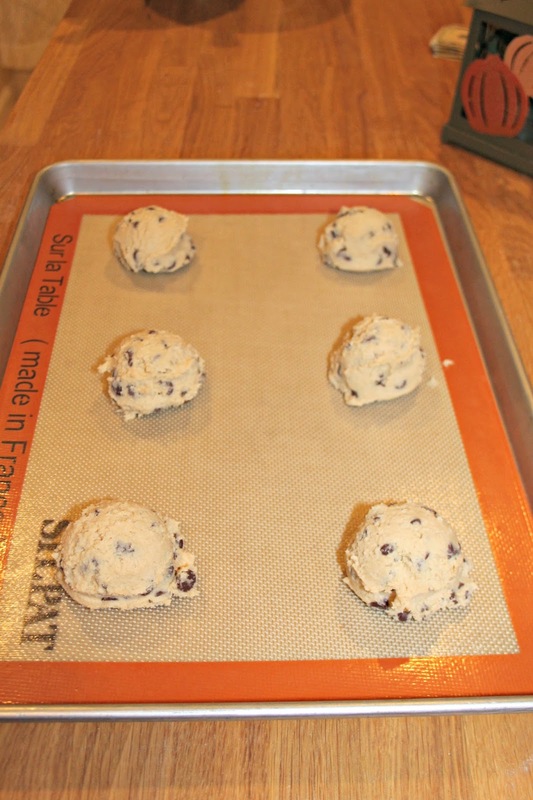 Place cookies in the oven for 12 minutes. 11. Enjoy with a tall glass of milk! !